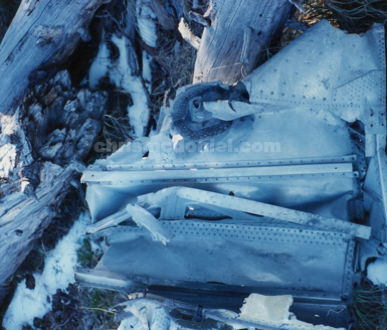 Flying to Marana Army Air Field (Tucson) from Albuquerque, BT-13B (42-89683) crashed in the White Mountains while attempting to avoid a thunderstorm on October 13, 1944. Lt. Kenneth Ray was killed in the wreck, but S/Sgt. Edgar M. Rutter survived. S/Sgt. Rutter was able to hike off the mountain and reach McNary. One newspaper article reported Rutter arrived in McNary "bruised and dazed." Below are a few photos from a long, long time ago. Hopefully, I'll make it back up there one day and photograph everything with a digital camera. 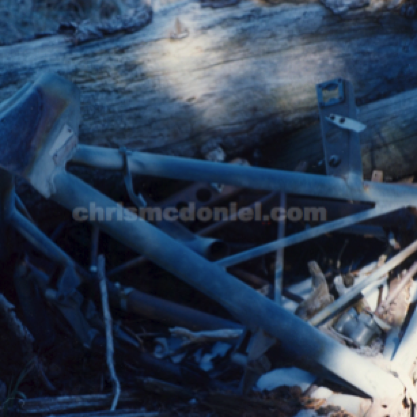 Not much remains of the BT-13 locted high in the White Mountains. 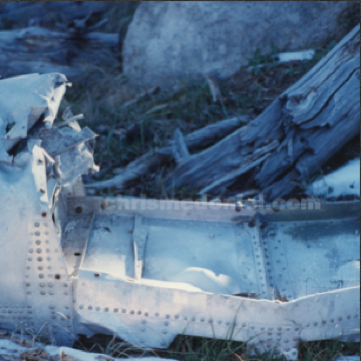 Remains of one of the wings.